Did you know that Davies Molding has rubber grommets? We do! 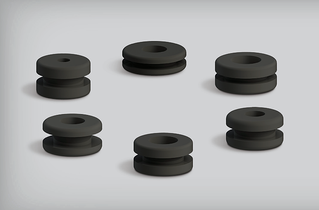 If you haven't been introduced to this line, we would like to take a moment to formally introduce you to our thermoset rubber grommets! Protection for wires and cables against abrasion damage from sharp panel edges. Multiple combinations of panel cut holes and panel thickness. Electrical insulation and mechanical damping. Durable and flexible Thermoset rubber, used for its resistance to oils, fuels, and other chemicals. Better cut and tear resistance compared to thermoplastic rubber grommets. Added aesthetic value to your application. Circular shape for ease of handling and installation. No tools necessary! To view full product offerings, click here or contact our inside sales team at info@daviesmolding.com for more information. What are you hoping to see from Davies Molding in the future? Let us know! To view full product listings, visit us at www.daviesmolding.com or contact us at info@daviesmolding.com for more information. Being an economics student, I deal a lot with numbers and theory. While at Davies, I was able to focus on applying what I have learned in school to solve real world business problems. In doing so, I completed projects involving market analysis, lead generation, customer relations, and online marketing. It was very rewarding to see my work make a difference for the business. Everyone at Davies was very welcoming and always encouraging me to learn. I was often invited into meetings even if I was not involved with the project because my mentors knew that I wanted to be exposed to as much as possible. I was very fortunate to be exposed to a variety of business functions from marketing to sales and even engineering. I now have a better idea of what I want to do with my career and what to expect when I enter the business world. For now, I am focused on having a strong senior year that will set me up for success in the future. This past summer, I worked as an Engineering Intern for Davies and absolutely loved my experience. I came in with very minimal 3D modeling skill, no knowledge of what an ECN (Engineering Change Notice) was, no idea what a Cable Gland was (or what it did), and could have never begun to guess what an Insert Press was. As my 14 weeks end, I have not only attained THAT knowledge, but MUCH, MUCH MORE! Davies has provided me with opportunities to engage in communication through emails, refine my modeling ability, understand work world engineering terminology, such as ECN, and meet a host of wonderful co-workers in the factory and in the office. Throughout my time here, I have learned what it means to be a professional and have grown as a person and an employee. I have learned to value relationships at every level of the employment chain, but more importantly, treat everyone with the same level of respect and gratitude and come in every day ready to work and perform. Davies has been a truly monumental stepping stone towards my professional career because of everyone's willingness to help me learn, challenge my abilities, and let me work on projects unavailable at college. 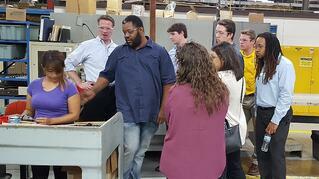 It has been a true pleasure to intern for Davies Molding, LLC! Post-internship, I head back to Iowa State University to start my Junior year! I will continue rugby, study abroad during the spring semester in Limerick, Ireland, and hope to continue my academic successes to attain an internship again next Summer! As much as I am looking forward to college, it will be tough to leave this wonderful company! Thank you, Davies, for everything! It has been an absolute pleasure! Coming into this internship, I was not sure what to expect. I didn't know the first thing about knobs, handles, or cases. However, this internship turned into a fantastic learning opportunity for me. 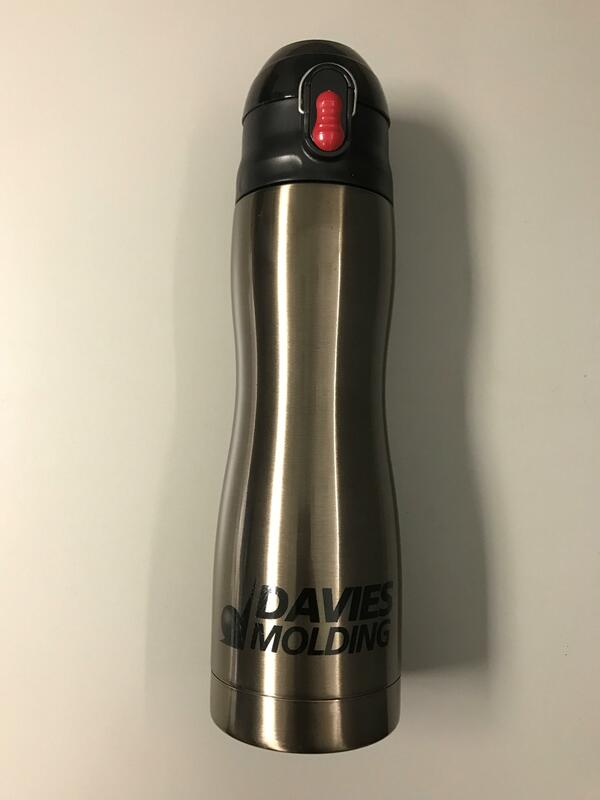 I not only learned about Davies Molding products, but about the marketing, sales, customer relations, event planning, and so much more that goes on behind the scenes. Everyone always kept us busy and was dedicated to helping us learn as much as possible from this experience. This summer was a great opportunity to develop my professional skills, interact and network with people from a variety of fields, and receive feedback and tips from company executives that will surely help me in the business world. I feel a great deal more confident as I enter my senior year and the work force after graduation. I couldn't be more grateful to the wonderful team of welcoming, dedicated, and hardworking individuals here at Davies! Our most popular handle, the Two-Shot Pull Handle, is now available in even more center-to-center dimensions! Molded with a glass reinforced Nylon substrate and an overmold Thermoplastic Elastomer rubber (TPE), these are sure to provide extra comfort and style. Wide range of colors and center-to-center dimensions. ¼" thru-holes with recess top for mounting hardware. Non-slip comfortable grip that is durable and resistant to scratches. View our full product listing here, or contact our inside sales team at info@daviesmolding.com for more information. The Adjustable Handle Is Here! Introducing the most versatile Davies handle! 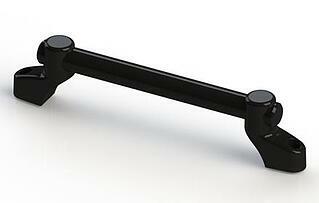 We are now offering these Adjustable Two-Point Pull Handles with adjustable center-to-center mounting hole locations. This new feature provides mating to a variety of fixed mounting hole dimensions. Universal end caps made out of 33% Glass Filled Nylon for exceptional load qualities. Reinforced delrin rod is also available in different lengths. A robust and ergonomical design that adapts to a wide array of products in many applications. Preassembled rod and set screws underneath the mounting ends for quick fastening of the handle to your desired dimension. Top mount holes on handle ends for 1/4-20 and M6 threaded cap screws. Click here for more information or contact us at info@daviesmolding.com to request a quote. 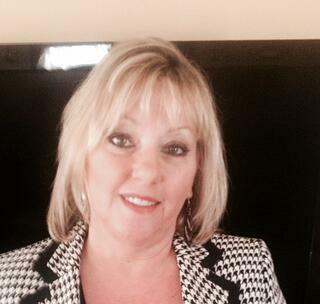 Meet the Newest Davies Team Member, Judy! We're thrilled to welcome the newest addition to the Davies Molding family, Judy! Judy will be working in our inside sales department. Judy is originally from Chicago and currently lives in Elmhurst with her husband, Joe. She has 3 children, Jeremy, Jake, and Jenna. Her son Jake and his wife are expecting a baby girl in September, and this will be Judy's first grandchild! Needless to say, she's excited. Judy also has a new puppy, Ernie (old English sheep dog), who is only 5 months old. When she's not hard at work, Judy likes to watch the Blackhawks and White Sox play, like a true Chicagoan. She also loves shopping, especially for antiques. Welcome to the team, Judy! Davies Molding recently had the pleasure of welcoming the interns and their mentors from The Heico Companies for the third year in a row. We began the day with a presentation by our engineering intern, Joe, in which he explained the different molding processes and product offerings here at Davies. It was fantastic to hear Joe share what he has learned through his education and time here at Davies. 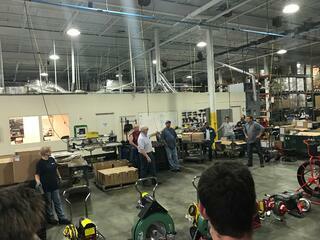 Next, we led the groups through the warehouse, where they were able to see first-hand the injection, compression, finishing, and shipping departments. This was a first for many visiting a manufacturing plant. Many shared that it was interesting to see how the parts were made. Now every time they see a knob or handle or look through a hardware store, they'll keep their eyes out for Davies Molding products! 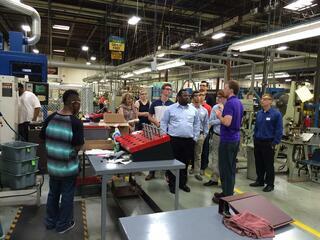 It was great to share with our guests the day-to-day operations here at Davies. 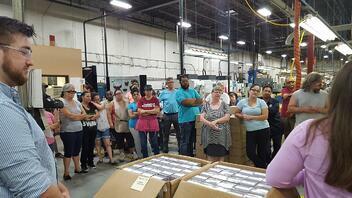 Everyone here is a crucial part of the team, so it was great to introduce them to some of our employees. We look forward to sharing our enthusiasm for Davies with Heico interns in the future! Davies Molding has sister companies all over the world. One of those companies happens to be Spartan Tool located in Niles, Michigan. 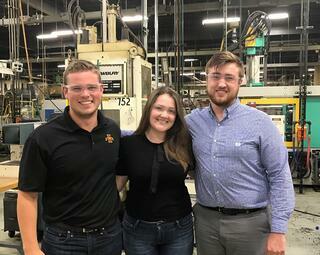 This week, our interns Erin, Steve, and Joe were able to join the rest of the Heico Companies's summer interns on a trip to see the facility. After being greeted by the staff there, they learned about the history of the company, which was founded in 1943 and acquired by The Heico Companies in 1979. After a major fire in 2003 destroyed the entire Spartan Tool facility in Mendota, IL, the plant relocated temporarily to Mishawka, IN and finally to its current location in Niles, MI in July 2015. The group was then given a tour of the facility, where they learned about various departments, from cable production to shipping. 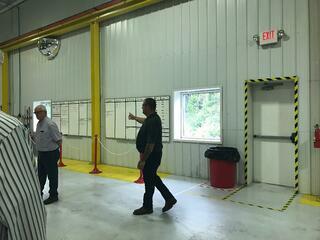 A main focus of the visit was learning about one of the principles upon which the company operates, LEAN. Essentially, LEAN promotes accountability, efficiency, organization, and the elimination of waste. President Kevin Walsh, having used LEAN successfully at other companies, came to Spartan in 2016. By bringing the concept of LEAN to Spartan, Walsh was able to implement many positive changes. Employees now feel like a much more integral part of the team. All employees are able to suggest changes. The clean, organized, and efficient facility was a testament to how the implementation of LEAN was truly beneficial to Spartan. Click here for more information on Spartan Tool! Davies Molding is excited to announce that we have partnered with a new distributor, Master Electronics. Master Electronics is headquartered in Santa Monica, California. They are a leading distributor of electronic components.